When you use a flight tracking app on your phone to see where a flight is it’s very possible that location data has been crowd sourced. Pretty cool! Sites like FlightAware.com and FlightRadar24.com use feeds of data from people around the world to help build their datasets. Participating in those feeds is open to anyone who has some basic equipment. This works by listening to the ADS-B and Mode-S signals transmitted by aircraft. These signals identify aircraft and in some cases include positional data. It’s very easy to listen for these signals using a 1090Mhz antenna and an ADS-B receiver. 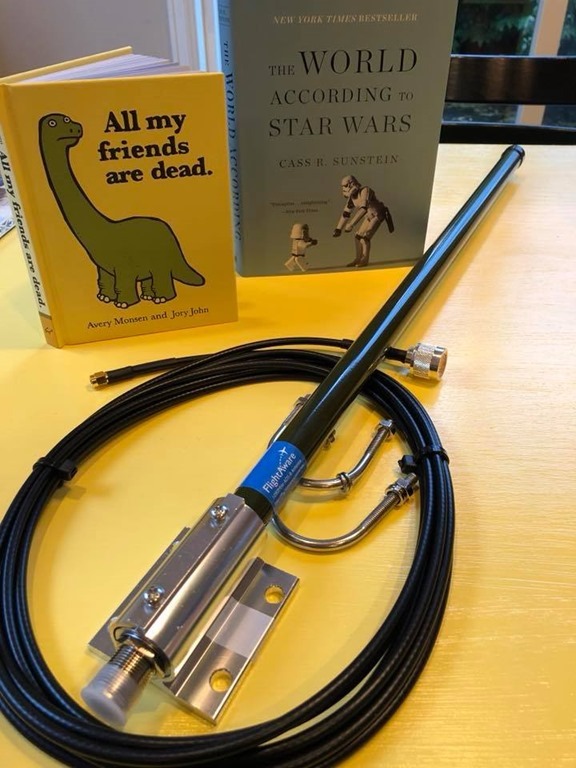 A couple of years ago I bought some equipment on Amazon, hooked up the software running on a Raspberry Pi and got started feeding it to FlightAware.com. You can buy kits with everything you need from FlightAware on Amazon with everything included. Once you have your equipment the best place to start is with PiAware – FlightAware’s Raspberry Pi pre-configured software. It walks you through everything needed to get you up and running and feeding their network with your juicy tracking data. The “good” with the PiAware guide is it’s the simplest build process, the “bad” is that it’s specific to flight aware and doesn’t set you up to feed other providers. 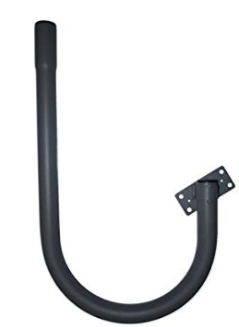 When you “need more input” you will need a better antenna. 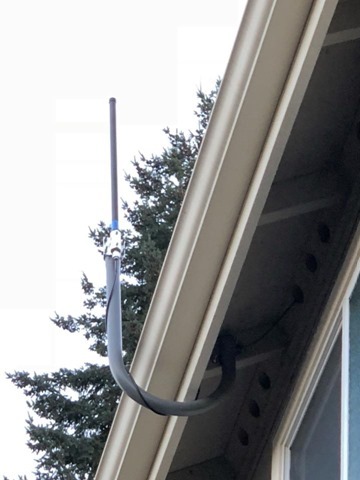 This may possibly require some WAF (“wife acceptance factor”) (or HAF, husband acceptance factor) … as it will likely require putting something outdoors and, for best results, on your roof. I recently upgraded to the FlightAware made outdoor antenna. My situation called for mounting it externally on the roof along a gutter line. Ideally I would have mounted it on a peak of the roof, but I didn’t feel comfortable drilling holes in my roof, so opted for a mount that let me hang it from under the eaves. Here is what the setup looks like mounted. The new outdoor setup and better antenna really bumped up my coverage. Even without optimal mounting (as you can see there are trees on the south side of our house) range went from < 50mi to ~150-200mi in some directions. I like Docker containers. They make my life simple for running different apps and services on one box and it seemed to make sense to me that you should be able to run the piaware software and dump1090 software in containers instead of on the Raspberry Pi directly. I came across an article “Get eyes in the sky with your Raspberry Pi” by Alex Ellis who had done just that! In Alex’s setup however the configuration of the containers is baked into the docker images at build time which isn’t ideal. I made some improvements like moving all configuration to Environment variables and added Docker-Compose support. With everything in Docker containers it was relatively simple to add a feeder to another tracking site FlightRadar24.com. They also provide software “fr24feed” that takes a feed from dump1090 and processes/uploads it. You can find optional instructions in the ReadMe file on how to add this pretty simply. I love this stuff. It’s a fun project with hardware and software aspects to it. Hanging out of a second story window being held by my wife around the waist was a “hilarious” exercise that I suggest every marriage attempts at some point. I still have some re-wiring to do in the attic to secure the wiring a bit more, and possibly add some more feeders to feed other tracking sites before I’m complete with the project too. Going forward I’m not sure what is next for this project yet. I’m sure there is more to be done and that I’ll likely be mounting more hardware the roof at some point! LOL. I hope you can enjoy the frivolity of a project like this as much as I do! This entry was posted in Uncategorized on December 26, 2017 by Chris Johnson. 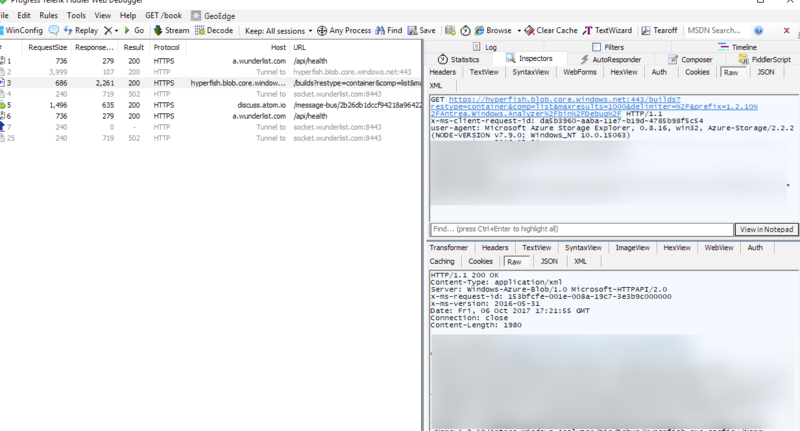 A friend asked a question about looking at how Azure Storage Explorer makes its API calls to Azure using something like Fiddler. That is normally fine with apps that use the standard WinINET libraries etc… to make HTTPS calls (like chrome). However, Azure Storage Explorer an Electron app using NodeJS and doesnt use these. Node also handles root CAs a bit differently and a long story short is that it doesn’t by default trust Fiddlers Root Cert that it installs. This means that HTTPS calls fail with a “unable to verify the first certificate” error. First you need to set up Fiddler to decypt HTTPS traffic. You do this in Fiddlers options under Tools > Options > HTTPS. This will prompt you to install a certificate that Fiddler uses to terminate SSL in Fiddler so it can show you the decrypted traffic. One You have completed this you need to export the certificate Fiddler installed so that you can set up Storage Explorer with it. First up you need to configure Azure Storage Explorer to use Fiddler as a proxy. This is pretty straightforward. 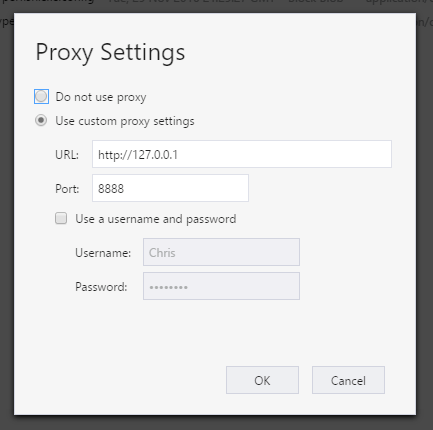 In Storage Explorer go to the Edit -> Configure Proxy menu and add 127.0.0.1 and 8888 (fiddler defaults). Note: Not authentication should be used. 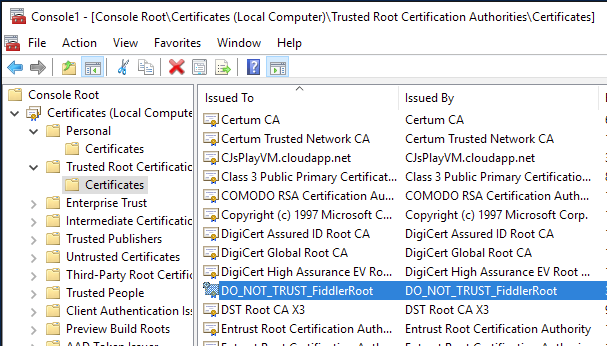 Now Storage Explorer will use Fiddler … however, you will start getting “unable to verify the first certificate” errors as Storage Explorer still doesnt trust the root certificate that fiddler is using for SSL termination. 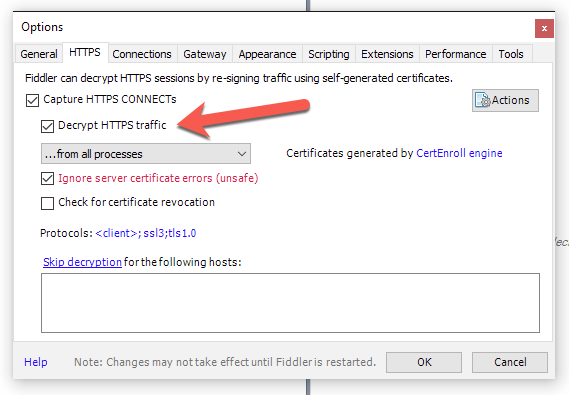 To add the Fiddler certificate go to the Edit > SSL Certificates > Import Certificates. Pick the .cer file you saved out earlier. Storage Explorer will prompt you to restart in order for these to take effect. Now when you start using Storage Explorer you should start seeing its traffic in Fiddler and in a readable decrypted state like below. Now you can navigate around and do various operations and see what and how Azure Storage Explorer is doing it. This entry was posted in Azure, Development and tagged Development on October 6, 2017 by Chris Johnson. Call me weird … but i like clear ice in my drinks for some odd reason. So I went on a mission to learn how to make it at home. Note: This is amost totally pointless. It tastes the same, is just as cold (i think)… but it looks sweet! 1. get a saw or knife and score the block where you want to cut it. 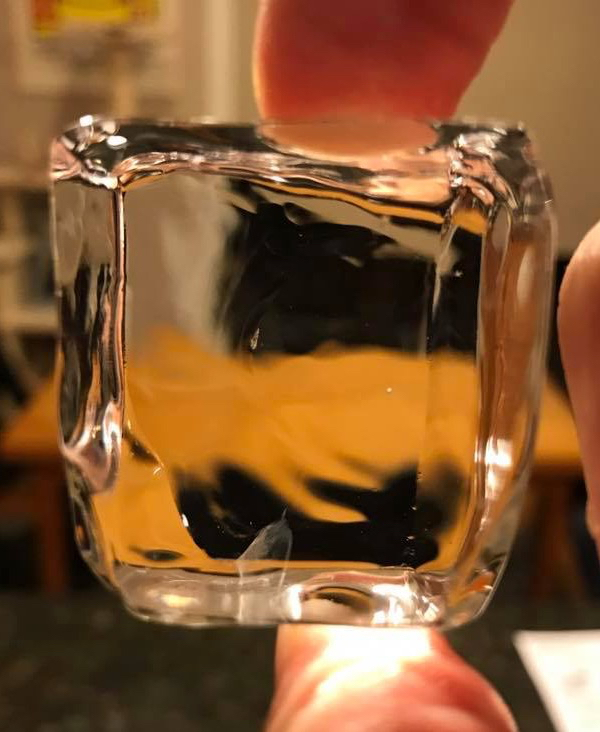 Bask in the glory of your perfectly clear ice. This entry was posted in Uncategorized on January 31, 2017 by Chris Johnson. 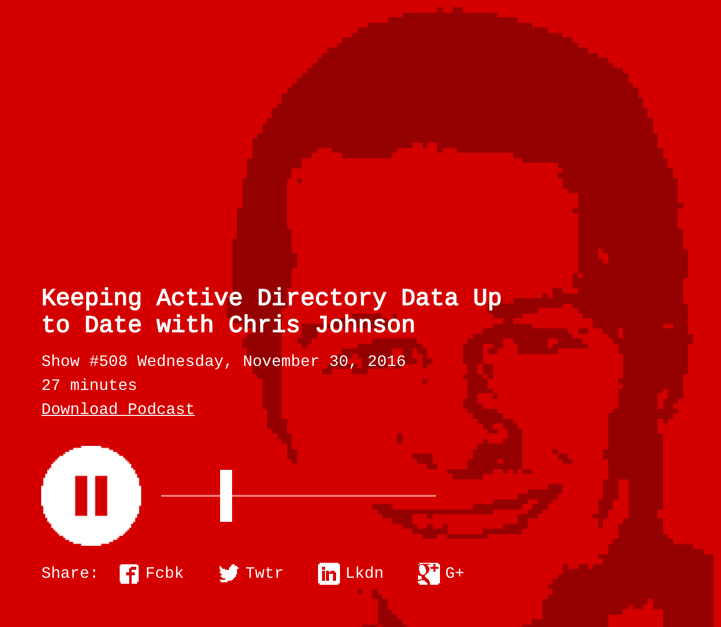 I recently sat down with Richard Campbell on the RunAsRadio podcast to talk about the state of directories, why people profile data is a critical component of SharePoint and Office 365 deployments and how Hyperfish can help organizations with their profile and directory mess. This entry was posted in Active Directory, Hyperfish, Office 365, SharePoint on November 30, 2016 by Chris Johnson. 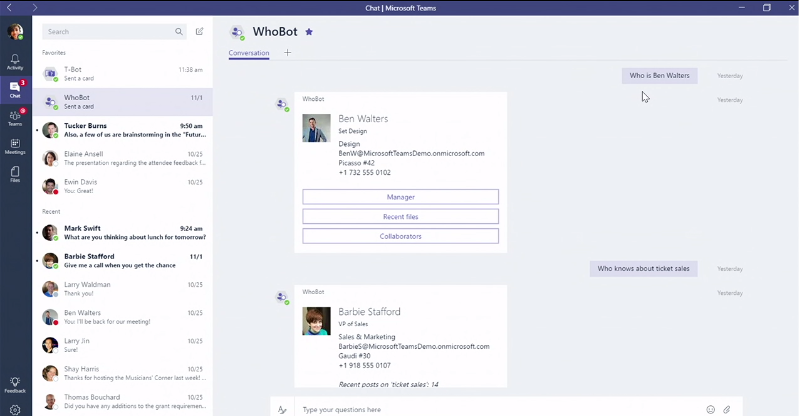 Today Microsoft announced the much anticipated competitor to Slack called Microsoft Teams. At the core Teams is all about lightweight team to collaboration spaces that include in persistent chat, docs, notes, instant message, video calls and more. It really brings together many parts of Office 365 into one experience and is simple and easy for users. 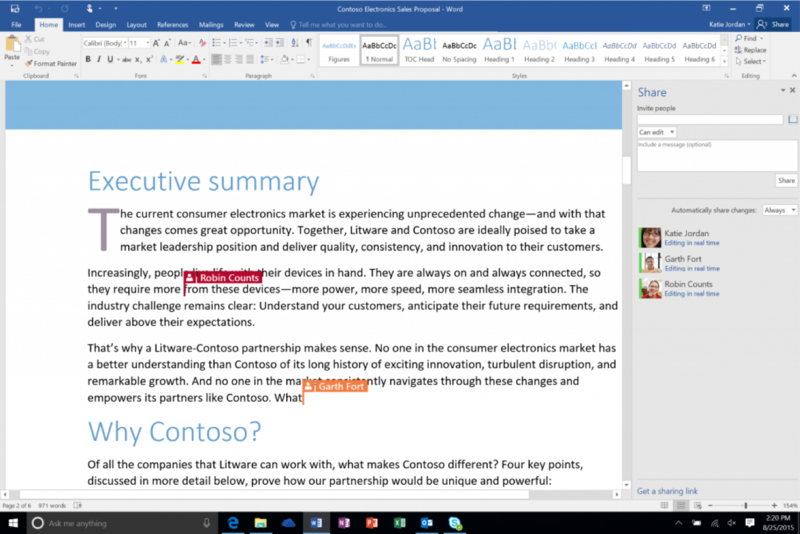 Why is this so important for Office 365? Well, in short, Microsoft has had all these pieces of technology for many years but has not brought them together in a cohesive application experience for users …. Until now. 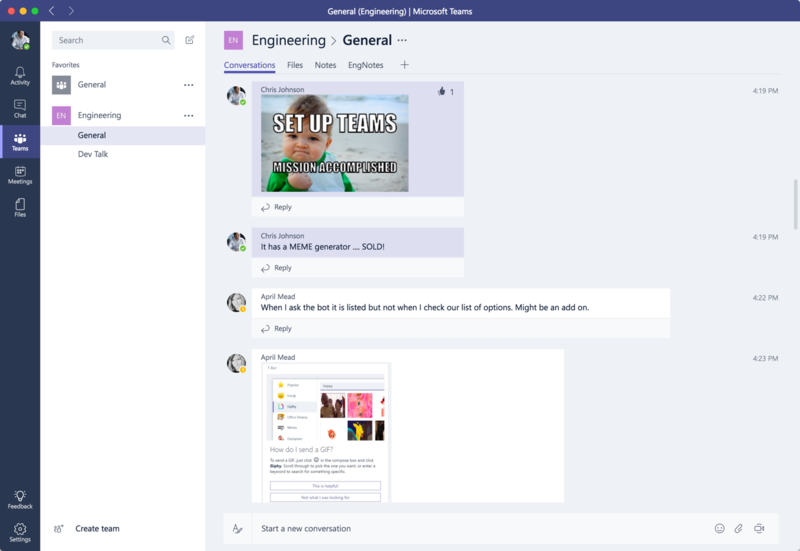 I’m excited about Microsoft Teams! For some time many have marveled at Slacks simplicity and therefore friction free collaborative experience, but winced at having to manage, purchase and integrate yet another application. Teams is baked into Office 365 and it comes for free. Is it as good as Slack? We don’t know yet. It’s only in preview currently and only time will tell. But it’s off to a good start. 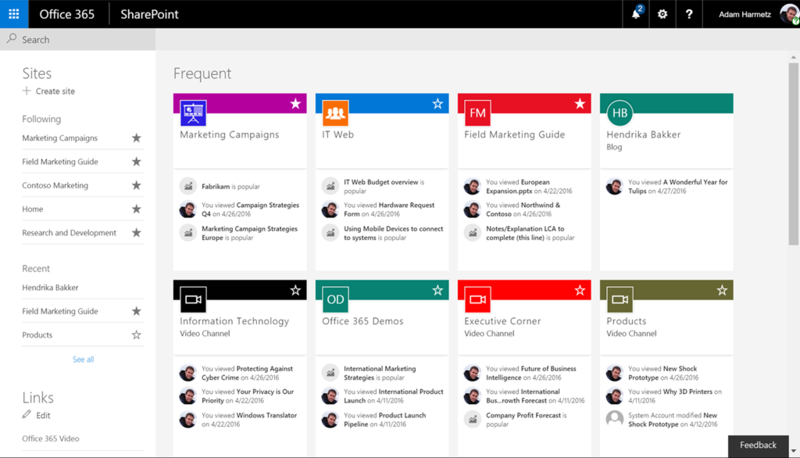 Virtually all the new experiences going into Office 365 have people at the center of them. Microsoft Teams is no different. People are at the center of Microsoft Teams. However, to get the best experience in Teams, and to make it as compelling and interesting as the demos suggested, you must have great people profile information. But 75%+ of companies don’t have the org structure data needed in Office 365 to power this feature! Or take the photo thumbnails that show everywhere to help you connect with the person you are IM’ing with and make it more personal. Those photos come from Azure AD and Office 365. If you don’t have your users profile photos in AD then chances are you will be getting a subpar experience in Teams. WhoBot was another example of how people profile information is powering new experiences. WhoBot is a chat bot that lets you look up people in the organization based on their name or skills for example. Again, all this is driven from people profile information in Office 365. So what if you don’t have great profile data? This is why we created Hyperfish to help organizations understand their profile data and then complete or fix the missing or incorrect information. Our mission is to make experiences like Microsoft Teams, Delve, people search experiences everything they should be with complete and accurate profile data. If you don’t know what how good you profile data is you can try our free analysis app! It support Active Directory on-premises as well as Azure Active Directory / Office 365. At Hyperfish we are pumped about Teams! The preview looks great and we cant wait to see what else comes as part of it before it is due for release in Q1 of 2017. We hope you enjoy these new capabilities and get in touch if you need a hand with keeping your people profile data clean and up to date! This entry was posted in Uncategorized on November 2, 2016 by Chris Johnson. At Ignite 2016 I did a quick 20 min theatre session in the expo hall on driving better adoption with your Office 365 rollout by leveraging people centric features. 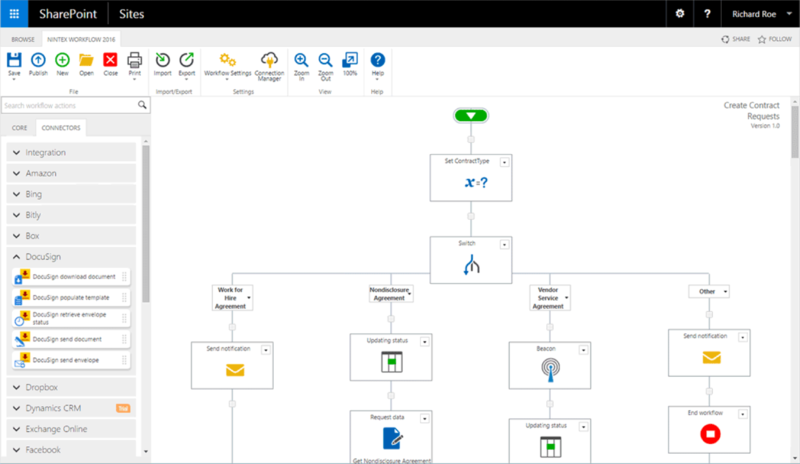 A lot of organizations dont make it part of their plan to ensure they have the right people profile data set up to make the best use of the ever expanding range of experiences in Office 365 that rely on it. They are letting their users down, IT down and the business down. In Office 365 most of the profile data comes from Azure Active Directory. Sadly, it’s all too common to see it poorly populated. 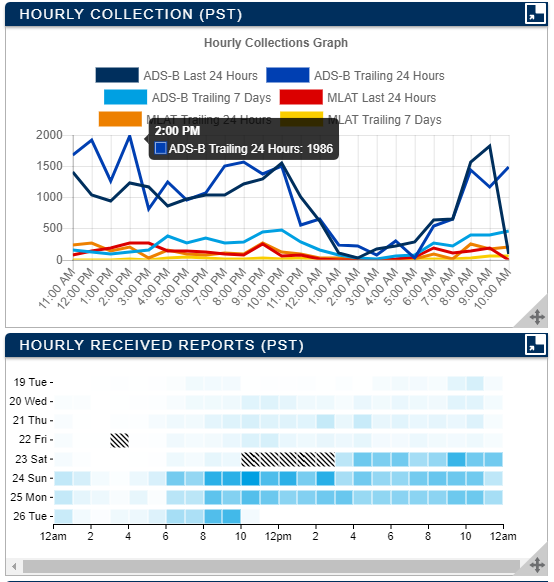 Missing this data impacts your Office 365 deployment. Some are simple yet important and others are business criticial. Here are the Top 10 things I felt are the most common things people are missing out on due to poor profile data that drive better user adoption and use of these tools. 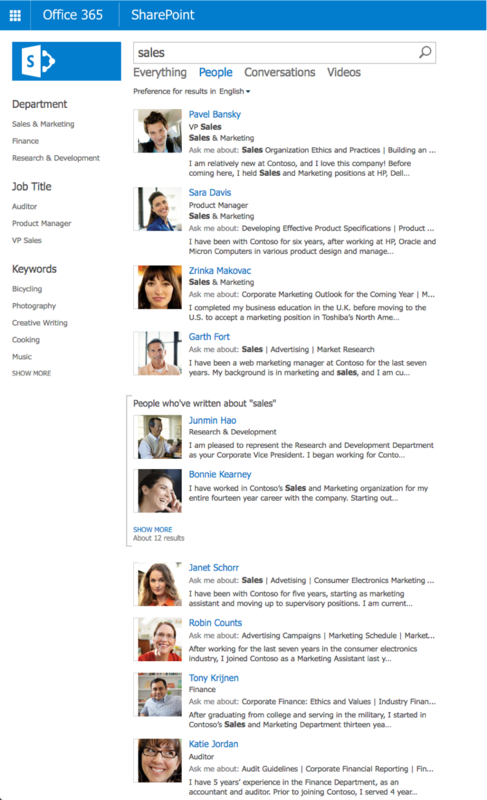 Microsoft is investing in making the Delve people profile pages THE definative profile page in Office 365 for users. Search etc… will use these. Without great data these look bland and dont provide users the information they need to find and connect with people quickly. Contact cards pop up in all sorts of places e.g. in Outlook (clicked 10s of millions of times a month no less!) Without great data they make it hard to connect and discover people. 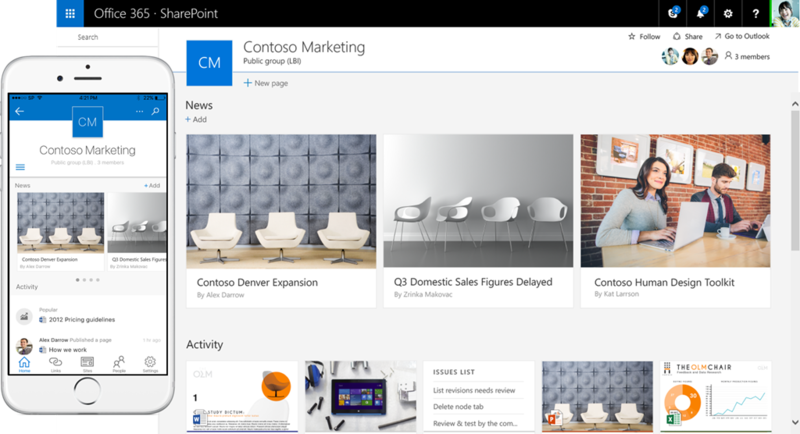 SharePoint is in the middle of a visual makeover in Office 365. 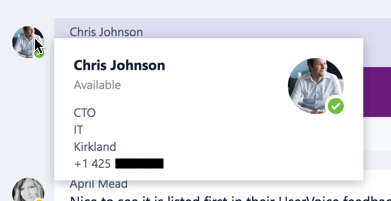 More people data drive experiences like the new rich contact panels will be popping up all over the place. 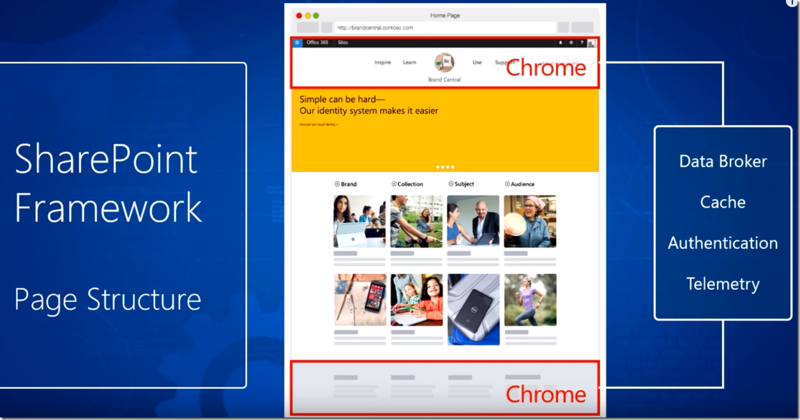 Along with better desktop web experiences, SharePoint have released new mobile apps to help you find and connect with people while you are on the move. Great for finding someone’s phone number while out and about. There are plenty of places in Office applciations like Word and Excel where people information pops up. For example while co-authoring a document with someone else. Good profile data makes it a much nicer experience for seeing who is in the document. Not many people know, but you can create dyanmic distribution lists that include people that have specific words in their profiles. Great way to ensure that all Sales people are in the right DLs! Dynamic DLs in Exchange online. One of the most common people want to do in workflows is excalate a task to someone’s manager if they out of the office or take too long to respond. Without good organization heirachy data in profile this isnt possible! This means people have to write more code to look it up from somewhere else e.g. HR system, or replicate the data somewhere else (which will become stale the day after). Here is a test. 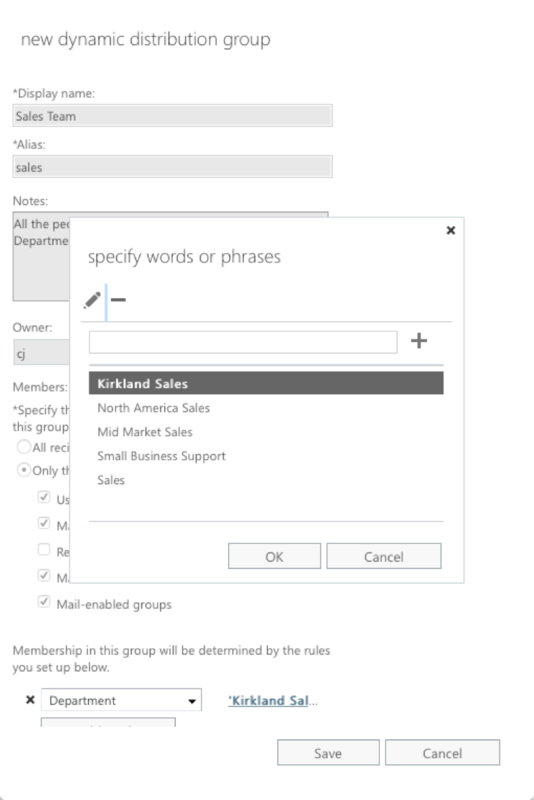 Go to your search portal in Office 365, flip to the people search tab and type “Sales”. Did you get great results? Probably not. People search is driven by people profile data and without it search is hard to use and find the right people at the right time. Groups are slowly becoming the new team sites for projects etc… They are rich with people data and conversations. Make sure they sing with decent profiles. 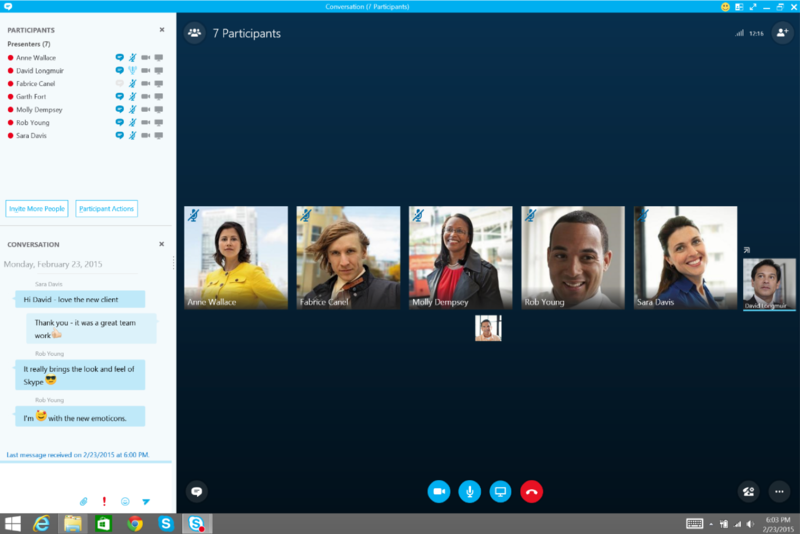 Skype for Business uses people profile data for its Search, dialing and in calls. If you dont have good profile data you cant find the right people in search, you cant dial people if they have poorly formatted phone numbers and you dont get to see who you are talking to without nice profile pictures. Help remote users connect with one another by ensuring their experience rocks. These are just a few of the experiences I think most people are missing out on in Office 365 due to poor profile data. I founded Hyperfish to help people whip their people profiles into shape and start making these experiences rock for users thus driving satisfaction, adoption and reuse of the tools you have already bought. 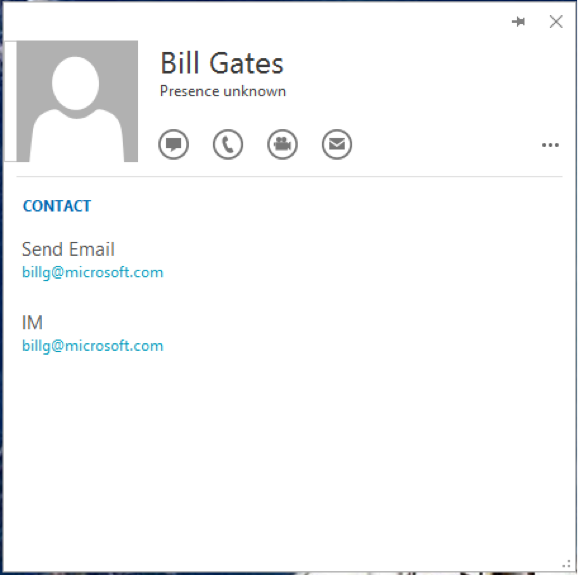 I hope you are getting the most out of your Office 365 investment and not letting something like profile data get in the way of users loving it. This entry was posted in Uncategorized on October 1, 2016 by Chris Johnson. Exciting news! 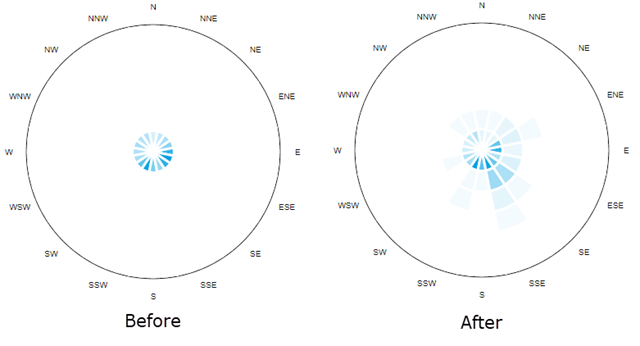 Last week we released a beta of our free directory analysis product! This is the first small step towards a much larger product we have coming later in September at Microsoft’s Ignite conference for helping organizations leverage their investments in SharePoint and Office 365 better. It will ensure organizations have rock solid people profile data in their directories to power experiences like profiles, Delve, search, personalized intranets, automated business process decision making and more. But more on that in the coming weeks (stay tuned to www.hyperfish.com also). So what does this directory analysis do? Simply put, it scans your on-prem Active Directory or online Azure Active Directory and tells you interesting facts and figures about the completeness and accuracy of your users profile data. We send you a report on what we find. We have been testing it with our beta users and now we are ready to have others try it out. It’s a Beta, you might hit a bug and hopefully will have feedback for us! If you do, please reply to the email you get from us with your thoughts. This entry was posted in Uncategorized on August 3, 2016 by Chris Johnson. SharePoint and I go way back. I have a special place in my heart for SharePoint. I got started with the product back in 2002 and it’s taken me places. It brought me to the USA when I transferred with Microsoft to join the Windows SharePoint Services engineering team in 2007 and onto the Technical Product Management team in 2009. I owe it a great deal. Its for this reason that although my new day job isn’t directly tied to SharePoint any longer that I care about its future. I lived its glory days in 2009-2012. SharePoint fever was rampant. SharePoint Conferences sold out at 12,000+ people. There was a gold rush in the enterprise collaboration space orbiting SharePoint. I want SharePoint to rise again as a fantastic platform for enterprise collaboration. I make no bones about the fact that I haven’t been SharePoint’s greatest proponent recently. I feel that Microsoft was chasing shiny things at the expense of what made SharePoint great to begin with. Things felt 80% done in it’s Enterprise Content Management and Collaboration capabilities. Like a theme park that was great for a while but started to age and you couldn’t help but think what could have been if only it had been updated. 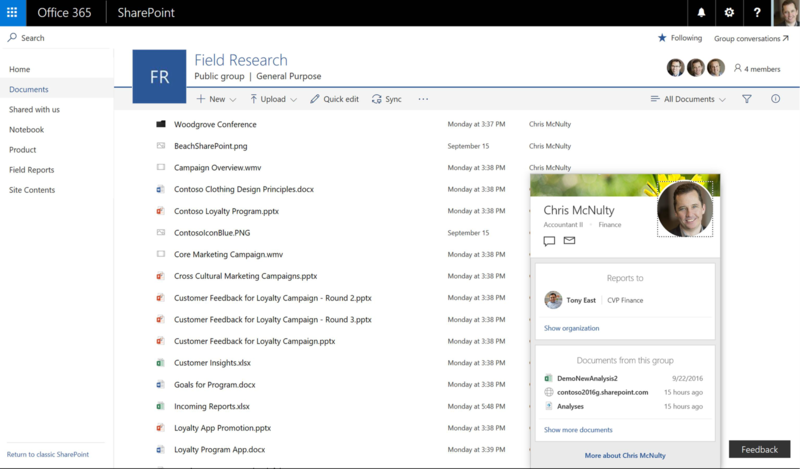 The SharePoint team went off and started building other things vs. focusing on updating its core features like Team Sites and document collaboration. Competitors like Dropbox showed what a better experience could be like as SkyDrive (now OneDrive for Business) fell further behind. All this flailing about drove me nuts. I got disheartened honestly at Microsoft rewarding engineering for shipping new things that no one wanted while letting their golden goose slowly die. There is nothing quite like a leadership change to signal to everyone that the status quo isn’t working. 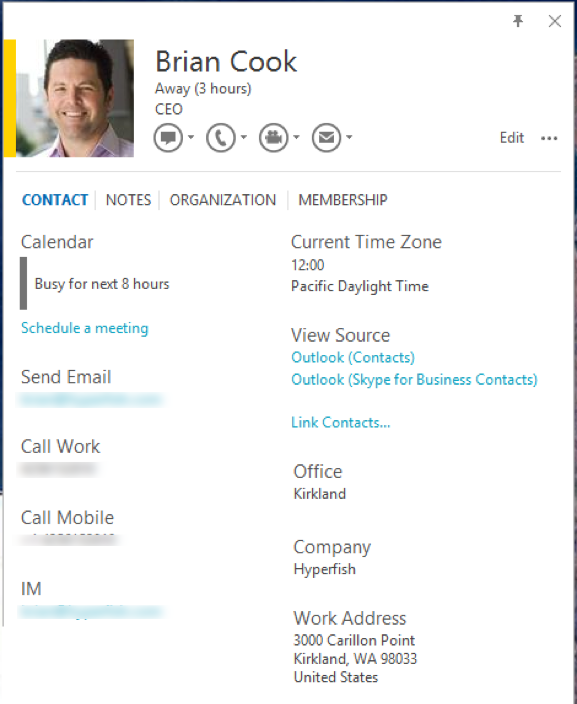 Last year Jeff Teper returned to lead the SharePoint Product Group. Many are hailing this as a turning point. The return of the king in many ways. After all … he is the father of SharePoint. Today we saw the first step in Jeff’s new era of SharePoint. Jeff has put the first stake in the ground for his new vision for SharePoint and where he wants to take it. … empower people, teams and organizations to intelligently discover, share and collaborate on content from anywhere and on any device. Enterprise features around security, compliance and privacy. 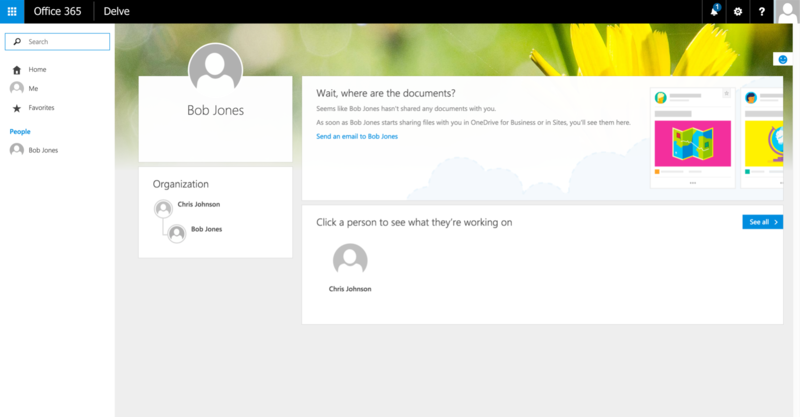 What I LOVE about this that it focusses on core SharePoint capabilities. It’s radically updating what is already there vs. adding something new. Someone finally got the memo that to stay relevant you need to focus on what made you great to begin with, don’t lose sight of your fans and incrementally build from a solid base. SharePoint lost it’s way … the real question is … is all this too late? Many think SharePoint’s game is over. There are a multitude of smaller more nimble productivity apps out there that do a lot of what SharePoint introduced to businesses back in 2001. 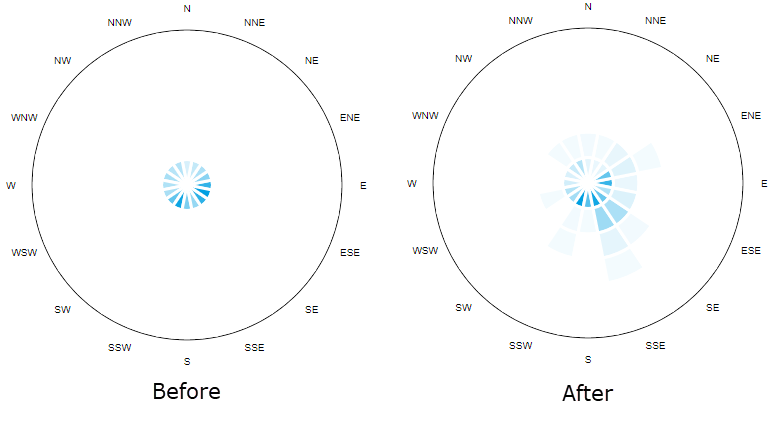 But the one thing many forget is Microsoft’s ability to execute end to end when the stars align just right. Building the features is just the first star to align. Company vision is another, Marketing is another, Sales is another. When all these align at Microsoft it is an unstoppable force of nature. None of SharePoint’s competitors can touch it when these things all come together end to end. But it hinges on it being a core imperative at the company to make it happen. I feel there is a very good chance of that given Satya personally pushed asked Jeff Teper to lead the SharePoint group again. He understands how critical owning File sync and Share is, how crucial owning team collaboration is and how important personal productivity is. Like I already mentioned, the first star needed for perfect alignment is product. It all starts with compelling product capabilities. Today the SharePoint team showed new product capabilities primarily in the team and document collaboration space with fresh web and mobile experiences. This in my view is playing catchup for the last few years of rot in the SharePoint UX. 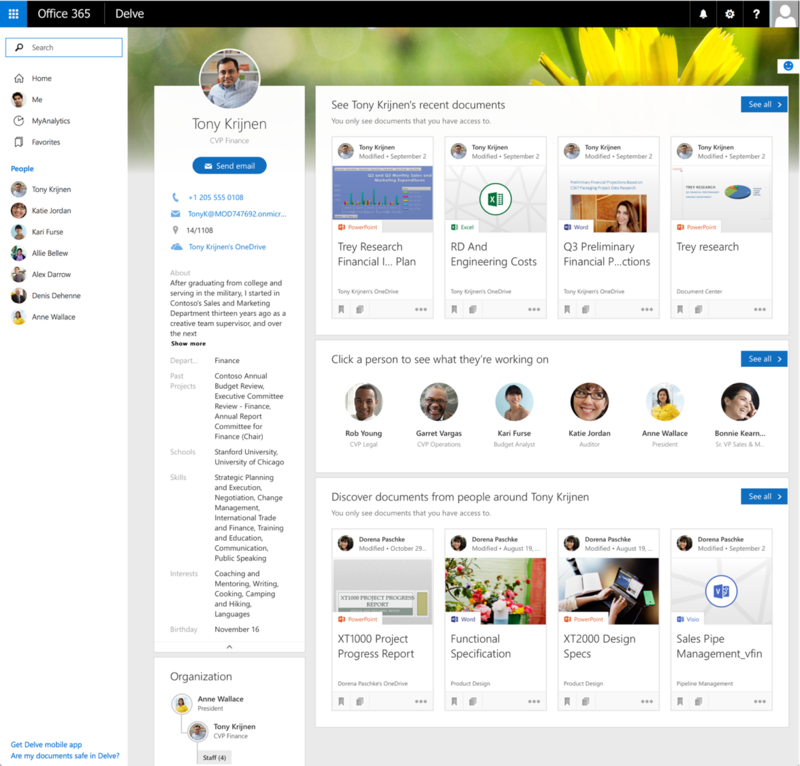 Honestly … it looks great and end users who are not used to existing SharePoint sites will love it. Users already used to SharePoint will likely be confused about where the ribbon interface went and have a hard time finding things in the place they were used to. This new UI is not particularly innovative or over and above what competitors have already, but it is super important table stakes that were desperately needed. 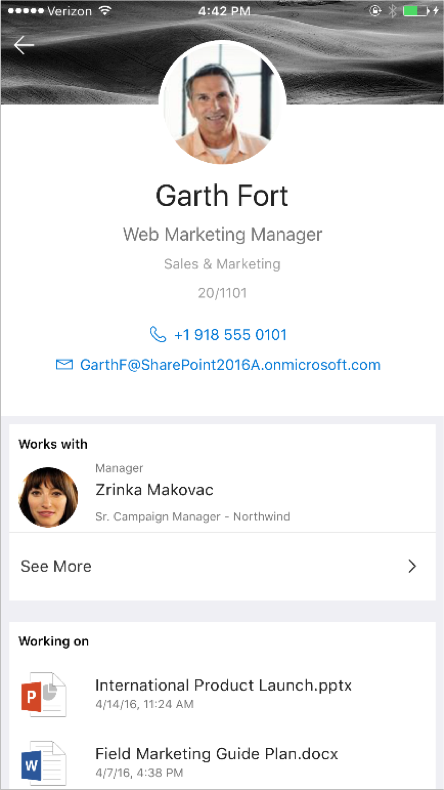 There is a new SharePoint mobile app. To be honest, I am pretty ho hum about this. In my experience companies give their intranet a brand. Microsoft does with its intranet, MSW (MS Web). I think SharePoint missed a great opportunity to give companies the ability to white label this app and deploy “MSW” to peoples phones, brand it with their colors and customize it with additional apps and capabilities. Almost since the dawn of time one of the issues with SharePoint was the rampant proliferation of SharePoint sites with little to no ability to find any of them easily. SharePoint are revamping the Sites experience in O365 to show you all the sites you belong to. This demands a whole post on its own! SharePoint forms and workflows are still left wondering why they are not getting the attention they deserve. Flow is a new tool (in preview) to help you build easy lightweight workflows that connect to different systems and tools. It actually shows quite a bit of promise in my view, but it’s built by the Azure team and you can tell they are used to building things for developers, not end users. Of course this will likely get better over time. To really succeed it needs to be deeply rooted in the Office and SharePoint user experiences, a little bit of which is seen in the screenshot below with the “Add Flow” button in SharePoint. This is one area where either Power Apps + Flow really has to grow up fast, or SharePoint needs to take the reigns of these tools. Ahhh … a topic near and dear to my heart. Prior to leaving MS I ran the technical marketing team in Office 365 that focused on extensibility and the partner product ecosystem around Office 365 and it is still something I deeply care about. Microsoft has always been a partner lead company. Steve Jobs famously said the thing he admired most about Microsoft was it’s partner lead attitude. Extensibility and the ability to build on and beside products is critical to a vibrant and healthy product ecosystem. SharePoint didn’t get to a $2.5B+ business for Microsoft by being a great out of the box application. It got there by partner companies building amazing tools, add-ins and products that enhance SharePoint with new capabilities. SharePoint has had an ongoing identity crisis with extensibility. Each new version introducing enough of a change to piss off developers. Although on the one hand these new capabilities are great … developers also hate to have to change development processes and relearn best practices. They are going to need to do that again this time around. The fantastic part about it is of course the ability to surface UI directly in SharePoint using modern web development tools and frameworks. I have some pretty bias views on this. For a very long time there have been people bending SharePoint UI to do unnatural things. They inject script and insert, tweak and change things to make the SharePoint UI do what they want. They were driven to this by customer demands and consultants inability to say no when it comes to $. 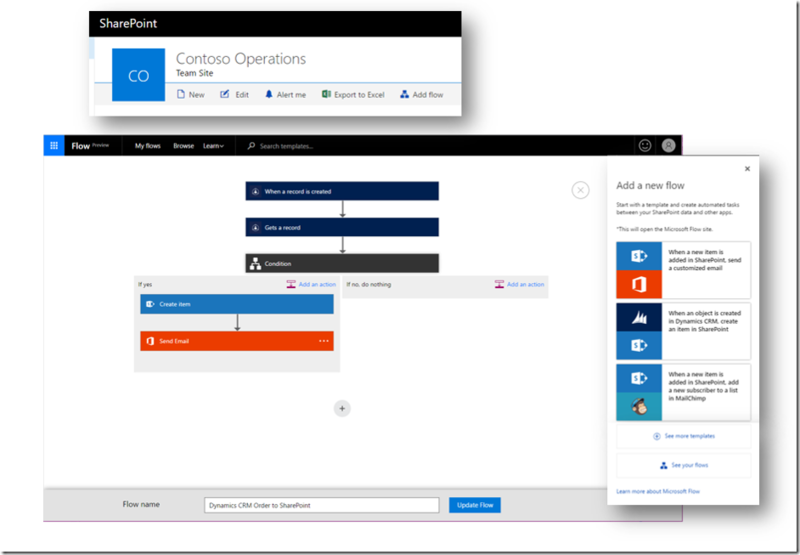 This new framework for SharePoint UI gives developers a new UI API. Documented hooks and points at which extending the UI is condoned and encouraged and something the team will support. This should be the UI nirvana developers are looking for. But the proof will be in the pudding and we will see if it goes far enough with its ability to deliver what customers are demanding. There will be gaps, I’m 100% sure of that … but the key will be SharePoint’s ability to address those, driven in a collaborative manner with the community. I have some concerns about the new framework with regards to its suitability in building commercial products. I need to do more digging before I draw conclusions, but from what I know now it is very much targeted at enterprise developers, not ISVs. The packaging and deployment model for example is different from what we have with Add-Ins today and I feel many of the benefits of the Add-In model that ISVs had, for example end user deployment and code isolation, are not present in this new framework. I can only hope that a re-focus on these in the not too distant future. I am impressed with the teams renewed focus on the core of what are SharePoint’s strengths and that feels good! Having this line in the sand is great … they need to do this twice a year and keep the pressure on catching back up to the pack. They need to do this so that the shiny new things make sense again because the core is strong. You can’t innovate the body of a car if you leave the engine to languish (ala DeLorean). I am bullish that Jeff understands this and has rallied the team around this as a core priority. I am upset that they have not yet decided this is a core priority for ISVs building products with SharePoint as this is a critical component of what made them great the first time around. I am also extremely happy to see some focus, care and attention on SharePoint again. I want SharePoint to rise again. You can hear more about the #FutureofSharePoint in an interview on my podcast the Microsoft Cloud Show here. This entry was posted in Uncategorized on May 4, 2016 by Chris Johnson. However, the way the storage logs are filed does not exactly make analyzing them easy in something like Excel. They are logged in /year/month/day/hour/5min chunk folders/files in CSV format. (detail of what is logged is here). Download all the logs files. Use some PowerShell to squash all the thousands of CSV files into one big one. Mutate the data in various columns for better reporting. e.g. pulling important parts from the User Agent string and pulling an episode number out of the filenames. It was error prone, painfully slow at times and required all these things to be done each time we wanted new statistics. At times we would go months without doing this and were flying blind on how many people were listening. Not really very good. What we really needed was an automated process! 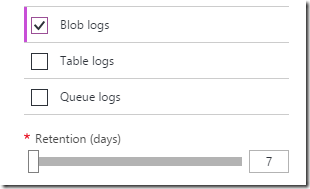 Azure Function Apps to the rescue! In March 2016 Microsoft announced Azure Functions. They are lightweight bits of code that can be run in Azure when certain events occur, like on a timed basis, when an HTTP request is made and when a blob is added to storage. What is nice about them is that you are not paying for a Virtual Machine to sit there mostly idle. You only pay for what you use. You can write them in a variety of languages and trigger them in various ways. If you know how to write a console app in C# they are super easy to understand, same with a hello world app in Node.JS. Microsoft.Azure.WebJobs.Host: Invalid container name: $logs. Problem! Currently it looks like you can’t trigger a Function off blob creation of a log file in the $logs container which is where the files are dropped 🙁 I don’t know if this is something that will change, but ill try and find out. Manually copy log files to another container periodically. Ok solution. Make another function that is triggered every 15 mins or so to copy the log files out to another container which would trigger or other function. Better solution. I say this is crude because it doesn’t keep track of the last blob that it copied and therefore each time it runs it enumerates all the logs each time. This isn’t ideal and I will probably need to make it a bit more sophisticated in the future. But for now running it once a day shouldn’t be a problem. Update: Since I published the post I updated the copy code to check to see if it needs to sync files since the last time the function ran + 1 extra day (to be safe). This means it wont scan all your logs every time. Ok so how did I do this. Below is the two Azure Functions. I have tried to comment them so you can follow along. 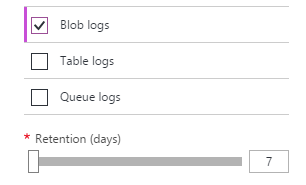 Copying log files from /$logs to another Azure Blob container. Next, Processing those log files when they arrive. Hopefully someone else will find this useful! Azure Functions provide a really handy and simple way to run code periodically. If you are familiar with Node.JS, C#, Python or PHP you should go take a look at them. This entry was posted in Uncategorized on April 24, 2016 by Chris Johnson.